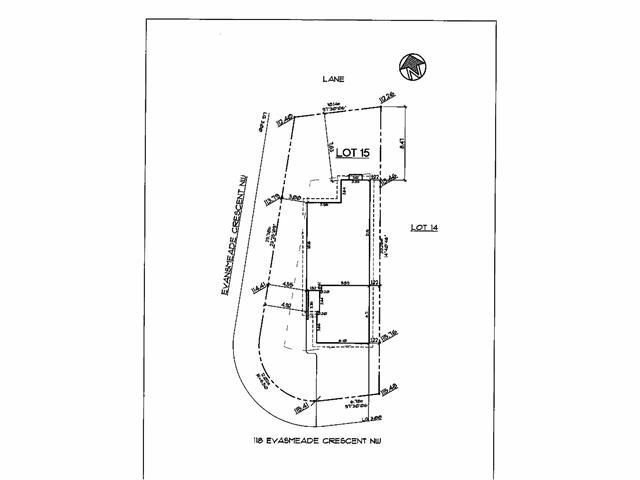 LOT FOR SALE: Unique opportunity to build your Dream Home in Evanston on a 404m2 / 4348 sq.ft. premium WALK-OUT lot with SOUTH back yard & gorgeous VIEWS. This is a corner lot is located on the inside of the crescent, it is partially landscaped at the side and offers a back lane. Great location for new construction in a mature area. The lot could fit a home with a double attached garage bungalow or 2 storey with walk-out basement. Do it yourself or hire your favorite Builder to create your Dream Home. Opportunities like this don't come along often, call today!